Our range of products include laboratory homogenizer, reciprocation khams type shaking machine, wrist action shaking machine, vortex shaker, vdrl rotator and table top rotary shaker. 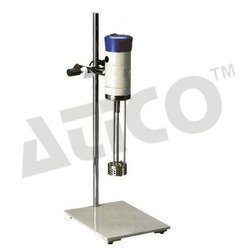 Shaking Machine- Reciprocating Type by Lab Products are ideal for mixing blood samples, chemical extractions and silver staining of proteins in polyacrylamide gels. 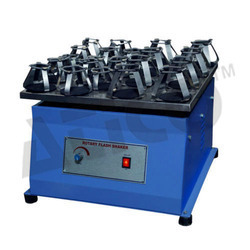 Shaking Machine- Reciprocating types are also called Kahn Shaker machine named after its inventor, these units are fitted with analog control system; variable speed control enables the operator to control the machine with gentle or vigorous mixing speed depending on the requirements. 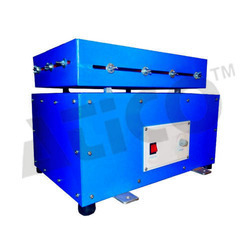 In addition; these Shaking Machines- Reciprocating type can also be used in warm rooms, environmental chambers, large refrigeration units and incubation systems. 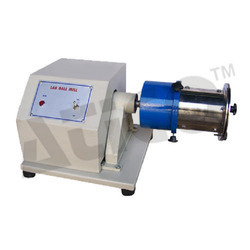 Lab Products supplies Shaking Machine- Reciprocating type to various Blood Banks, Pathological Institutions, Hospitals, Pharmaceutical Industries etc. The shaker is mounted on ball bearing. The rotator has covered metal platform fitted with rubber clamps (Optional). Can Hold 100 ml to 1000ml capacity flasks. Compact counter balanced drive mechanism ensures high stability and reliability even in continuous operation & uneven load distribution. Fitted with heavy duty motor having variable speed. Speed can be controlled through variable speed regulator knob. Control panel plate fitted on the front having indicator lamp ON/OFF switch & speed regulator knob. 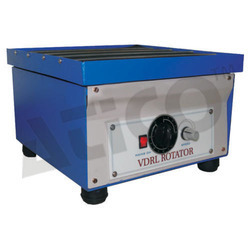 Venereal Disease Research Laboratory (V.D.R.L) Rotator is used for V.D.R.L. tests, blood-grouping tests, and various agglutination tests or for mixing of solutions in small bottles, flasks or beakers. Useful for serological Test and other tuned clinical diagnostic procedures requiring gentle agitation. The shaker is mounted on ball bearing crankshafts to give an orbital circular m otion to th e flasks. The rotator has covered metal platform Size 13" x 13" with spring, holder clamp. The shaker is mounted on ball bearing crankshafts to give an orbital circular motion to the flasks. 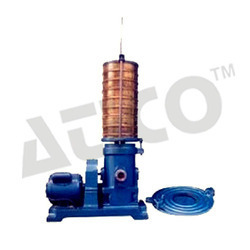 Speed can be controlled through variable speed regulator knob or by mechanical speed controller. 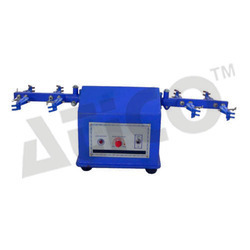 Complete body is mounted on heavy mild steel angle iron frame making it rigid and sturdy for smooth operations. Available in stainless steel platform fitted with stainless steel lotus type clamps to hold flasks, OR Mild steel painted platform fitted with rubber discs to hold conical flasks from 50 ml to 1 000 ml capacity. Heavy Duty Model for continuous operation. Mild steel powder coated platform fitted with rubber discs to hold conical flasks from 100ml to 1000ml capacity. 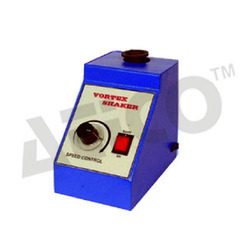 Speed is controlled through a SMPS based DC DRIVE UNIT speed control knob or through a VARIAC. Sieves Up to 8 (200mm) dia x 2 (50mm) Height. Maximum 8 Nos. plus Upper Lid and Bottom Receiver. Sieves Up to 12 (300mm) dia x 2 (50mm) Height. Maximum 6 Nos. plus Upper Lid and Bottom Receiver. 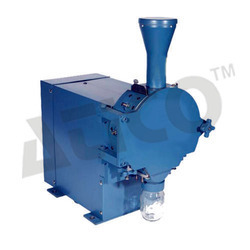 Heavy Duty Double Decker Rotary Shaker used widely for dosing, matching & mixing of different kind of items. In the Heavy Duty Double Decker Rotary Shaker the high density and viscosity fluid can be mixed as well as solids can be mixed with the liquids. 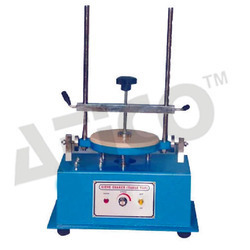 Heavy Duty Double Decker Rotary Shaker are used in Medical applications to Engineering and scientific laboratories. 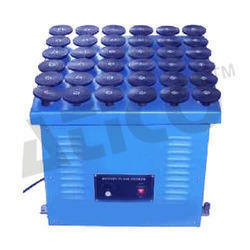 It has supplied the Lab Willy Mill to large number of Agricultural Universities and Colleges in India. Lab Ball Mill is a type of grinder used to grind materials into extremely fine powder for use in mineral dressing processes. It works on the principle of impact. It is used widely for crushing coal into fine powder for the usage in Thermal Coal fired Power Plants. It has supplied the Lab Ball Mill to Public Sector and State Power Generation Corporations. Heavy-duty floor model. 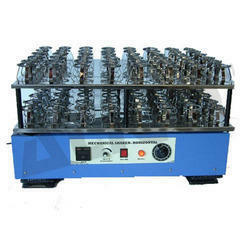 The sieve table rotates in 45-degree direction, which allowed each square inch of the sieve analysis. The whole gear mechanism runs in oil bath. It is necessary to pour machine oil No. 40 up to level mark is driven by 1/4 H.P. Electric Motor through reduction gear. This Gyratory motion of the table there is an upward and downward movement but is inclined from the vertical axis and the direction or inclination charges progressively in clockwise direction having frequency of about 270 vibration per minutes Every part of the sieve is utilized by constant upward and downward movement. The whole gear mechanism runs in oil bath. The shaking plate fixed on springs. Looking for Laboratory Shakers And Mixers ?